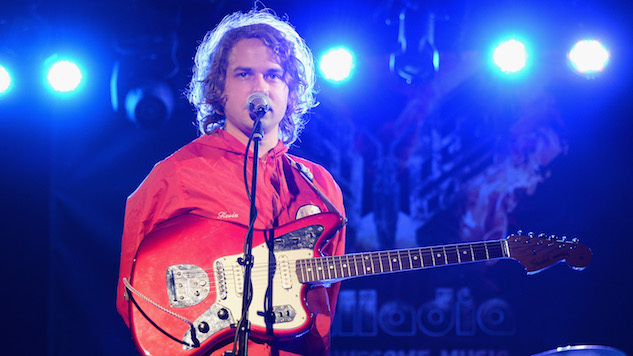 Kevin Morby Teases New Release "Oh My God"
Los Angeles songwriter Kevin Morby appears to be teasing a new release called “Oh My God.” A website has surfaced with a short video in which Morby is shown in a series of eerie scenes and part of a new song plays in the background. The video currently appears as unlisted on his label Dead Oceans’ YouTube channel. It’s unclear whether this is meant to tease a new album, or just a single and possible music video. However, Morby can be seen removing a record labeled “Oh My God” from a sleeve that says “Test Pressing” in the video, so that could be a good sign for a whole album’s worth of new material in 2019. Morby’s last album was 2017’s fantastic City Music, which channeled the frenetic energy of the city through the sounds of Lou Reed, Patti Smith and The Ramones. Check out Morby’s “Oh My God” teaser video below and revisit his recent cover of Bob Dylan’s “It Ain’t Me Babe” alongside Waxahatchee here.